If you are on Twitter and in the women’s soccer community, you have heard the rumblings of a hashtag-slash-trending-topic movement to draw attention to the USWNT game versus Italy on November 27. ESPN3.com will be carrying the webcast, and folks want to prove to ESPN that people give a damn about the game. I understand why women’s soccer fans expect and demand more of ESPN and other major media outlets when it comes to coverage of the sport. I don’t necessarily agree, as I’ve said in previous entries, but I get it. When the internal media production stagnates and is unwilling to evolve, it’s time to beg for outside help. It’s also time to take matters into your own hands. I do believe in the power of Twitter, particularly in the hands of players and fans. I do believe this game needs to be watched by casual fans of US soccer. And I think it’s really important that fans are exposed to the background of how the USWNT ended up in the mess they’re in. I think it’s important that fans be dissatisfied with the lack of media coverage both internal and external, because in a way, that played a part in the past six or so years of complacency. 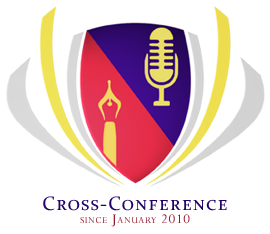 Of the two of us here at Cross-Conference, I am probably the wrong one to be writing this post. But I was asked, as a women’s soccer blogger, and even though I don’t root for the USWNT, I do admire the initiative. If you get enough people talking about and pushing for change, becoming part of the change, you have a better chance of effecting it. Use #uswnt when you tweet about the game, and tweet often. This isn’t just about the national team–it’s about women’s soccer in the US. Or it’s about Alex Morgan. Who can say, for sure? And what is the word from the US camp? Let me boil that down for you: We waited too long. Scenarios for the U.S. Women’s National Team. In our last episode, Ruth and I discussed Women’s World Cup qualifying. I said the US proving everyone wrong, storming through qualifying and winning the World Cup itself was possibly the best way for the WPS to survive. At 45 minutes into that show, Ruth imagined, nay, predicted a scenario in which the US did not qualify outright for the cup. She thought (and thinks) the US struggling and still possibly winning would make for a better story. I was skeptical. But perhaps she was right all along, for now the U.S. faces some scenarios in order to get to the 2012 Women’s World Cup in Germany. The U.S. will play Costa Rica on Monday, in the CONCACAF consolation match for lamers. Then they must play home and away against Italy. Should they win these games, they will qualify for the Women’s World Cup. And yet, they would have so much more work to do. This is the harder scenario. If they fail in this, there is still a secondary way to qualify, and that is to perform Warrant’s “Sometimes She Cries” then sing three Night Ranger songs of their choosing. Last night, the conversation got rolling on Twitter about why I dislike Alex Morgan’s inclusion on the USWNT roster right now. As I’ve said, I understand that when a player gets that call, she goes, because a spot on the World Cup roster is what every women’s soccer player aims for, right? And as we have seen with Leslie Osborne, chances at these spots can be taken away so easily, so a player doesn’t pass up an opportunity when it presents itself. I’m sure Morgan has weighed the pros and cons and clearly she made her decision, but for various reasons, this call-up doesn’t sit right with me. Disclaimer: I don’t cheer for Cal, and I don’t root against them. I don’t dislike Alex Morgan, but my criticisms of the way she plays are nothing new. Let’s start with the “big” picture, the senior national team, which doesn’t seem to have cultivated or developed new forwards in the past three years. With the World Cup less than a year away and CONCACAF qualifiers happening now, I should probably be grateful that the new blood comes “late” rather than “never.” I shouldn’t question that Alex Morgan is the new blood, in particular, because she scored the game-tying goal against China’s U-23s… which should tell you something about this World Cup run. This USWNT isn’t going to win the World Cup. Even if the tournament wasn’t being held in Germany (a hostile environment, to be sure) the US wouldn’t have good chances. Set aside, for a moment, that the athletes have to be in a winning mentality and have to think that they can do it–yes, miracles happen. Realistically, what are the US’s chances of getting that miracle? Realistically, what are the chances that Alex Morgan is going to perform that miracle or contribute to it in any way? So Morgan has belatedly committed to a national team that hasn’t decided it needs her. The US will need her down the road if she reaches her potential, yes, and considering how long Amy Rodriguez has been around, Morgan could stick on the roster forever regardless of her performance. But if you pay any attention to CONCACAF, you know Morgan isn’t needed right now. This trip, for her, is about finding her small place on the team and filling a spot on the roster. Definitely, chemistry is needed for a strong team. Definitely, the coaches should have been working on that sooner. This call-up reeks of half-hearted experimentation. The 2010 senior WNT depressingly resembles the U-20 WNT, in that there are problems no one is truly fixing. This is a team that could get out of CONCACAF, but they will only progress through the knock-out stages of a World Cup if they feel like showing up on game days. They might not. 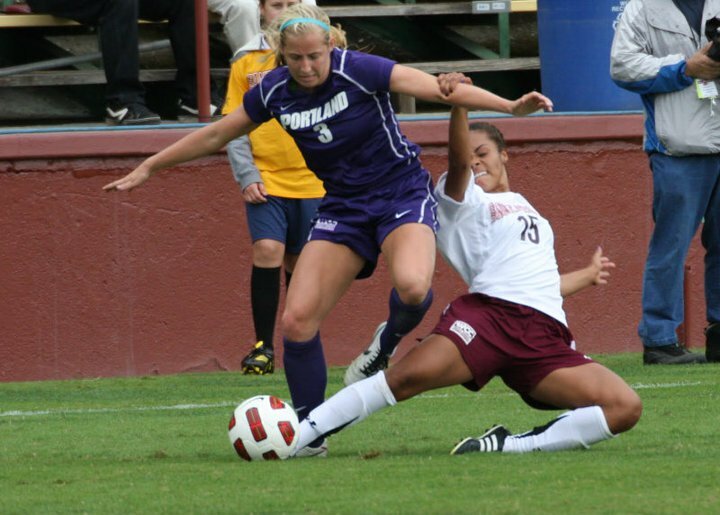 Flash back to when Christina DiMartino was called up to the USWNT. I never expected that to happen, even though I love the way she plays. That is a player that can provide a real spark and doesn’t care what size the opponent is. Nothing stops her. She is small (short and slight), though, and I would think that could have been a concern. Maybe chemistry was a factor, too. Maybe she wasn’t filling any of the currently open roles. But she plays a speedy, graceful, dangerous game and she doesn’t crumple when an opponent sneezes on her. Maybe Morgan has the chemistry. Maybe she is filling Tasha Kai’s role. She is speedy and graceful, and she has scored a couple goals, but per DiCicco’s report in 2008, we know that she has more issues than injury and equilibrium. Even if she has solved the nutrition problems, she is still the wilting violet on the field. These aren’t U-20s or college kids that she would be up against in Germany. While we have DiCicco’s report and 2008 on the table, let’s not forget that Alex Morgan did make a commitment when it came to the U-20s. She made the commitment well in advance of the college season (her sophomore year, by the way). This year, in her senior season, she is a team captain. She has played in 11 of 17 games, totaling 915 minutes. 11 Bears have scored this season, and of 37 goals, 14 are Alex Morgan’s. In the Pac-10, Cal holds a 2-3-1 record. This summer, I asked, “Will Alex Morgan try to make something of her senior season at Cal?” The games she missed were at the core of Cal’s schedule: Portland, UCLA, both Arizonas, Stanford. Cal meets Oregon today Friday, but the Bears haven’t had any luck so far against the teams below them in the Pac-10. They close against Oregon State, currently unbeaten in conference play. Although the statistics are hugely in Morgan’s favor, she doesn’t carry her college team alone. Often overlooked, Megan Jesolva is a key part of this team, even when she isn’t at 100%. DiCicco nearly took her to Chile and spoke highly of her in his report despite only having her in one or two camps. She has since played for the U-23s (although thanks to ussoccer.com, you wouldn’t know that). Morgan and Jesolva combined would have made Cal a solid team this year, despite the loss of players such as Lisa Kevorkian (all the rage at Boston University now), last year’s captains, and a starting keeper. Jesolva recently voiced her intent to continue her soccer career past NCAA, which is a pleasant surprise–but is it likely? She keeps narrowly missing opportunities. Her fellow players voted not to take her to Chile; by the time the U-23s scooped her up, the Nordic Cup was no more; she is graduating to the pro leagues in a year where WPS is massively scaling things down (possibly for its final run) and the women’s soccer world will focus on the senior World Cup. Jesolva’s chances with Cal have steadily decreased the longer Morgan has been away as part of the USWNT’s attempt to integrate some youth. Overall, I really doubt Jesolva (or anyone else) begrudges Morgan this one shot at the USWNT. But I think it’s a gamble, and it’s selling Morgan, Jesolva, and Cal short. The Bears aren’t a Final Four-bound team, but they are much better than their record. They just weren’t prepared for Morgan’s Once In A Lifetime shot at the ailing USWNT. All the best to her, of course, but I have to wonder at the cost. In the sea of voices showering her with nothing but praise, I’m sure at least one blog entry of doubt is merited. Edit to link: There is not enough anger in my post. Now a word from someone much more invested. New Episode! Recorded October 27,2010 and it is alive with lengthiness! This is our first proper episode since the UP-SCU project. We had a lot to say about the game this year and the coverage from ESPNU. We had a special guest for part of it, in forward Tiffany Weimer. Ruth and I have been big Tiffany Weimer fans for a long time (Ruth more so than I, probably), and it was really great to have her on. There was a lot more of the conversation that got cut out, hopefully we can get to those bits on a later episode. Abby Wambach hits a hard-working, tax payer in the head with a ball, causing him to drop his meal.